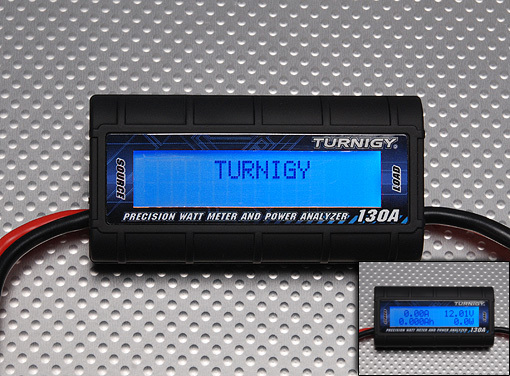 The TURNIGY watt meter is a very accurate R/C amp/watt meter. Predict model airplane flight time with any given propeller. Check battery health and performance. Evaluate R/C battery charging efficiency.